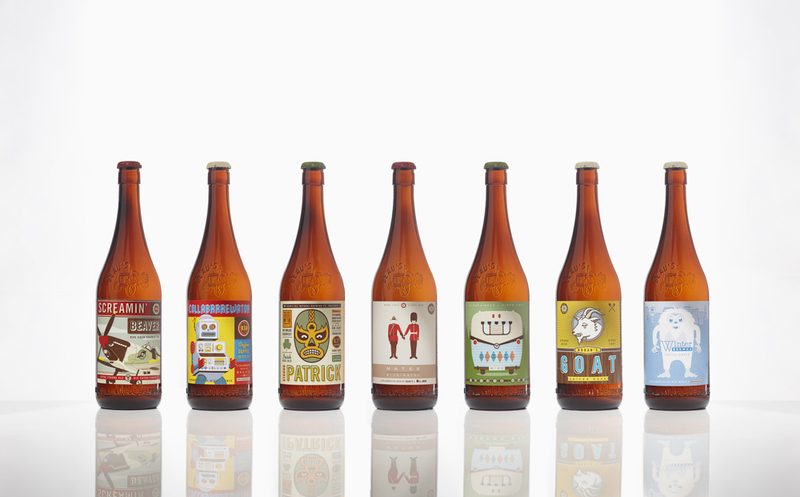 a discussion on how to celebrate Febrewary! Is the mix tape done? I guess in the phisical sense it is, but digitally they are going strong. There are a number of artists that have put out mixtapes and I love the idea. The thing that I love about the mixtape is that it is hard to skip a song and normally that means that you listen to the entire tape as it was intended to be listened to. I guess that works for all tapes in general. I know personally that I have made a small production line of mix tapes. Beau’s has decided to release a summer mixtape for 2013 and you can download it here no charge, you don’t even have to put in your contact information! Seriously cool Beau’s seriously! Beau’s got beer and music! I like that you can download the tracks individually, but it would have been fun if they had included two 45 minute mixes (side one and side 2) and added some fun They Might Be Giants short songs to fill in the needed space! I did this once with a Spirit of the West tape that I bought on eBay. It is their first release (out of print and hard to get) and with the death of my tape player I digitized it, both by track and as a complete tape… I still like the complete tape better. All great tunes to drink a brew too. As part of the Febrewary party I put out my collection of beer mugs/glasses/boots etc. I don’t really mean to collect them, but I just buy them when I am visiting somewhere, especially when I am visiting a brewery. Check them out here… the boot is my wife’s favourite. We bought this one after a hike in Bavaria, Germany. 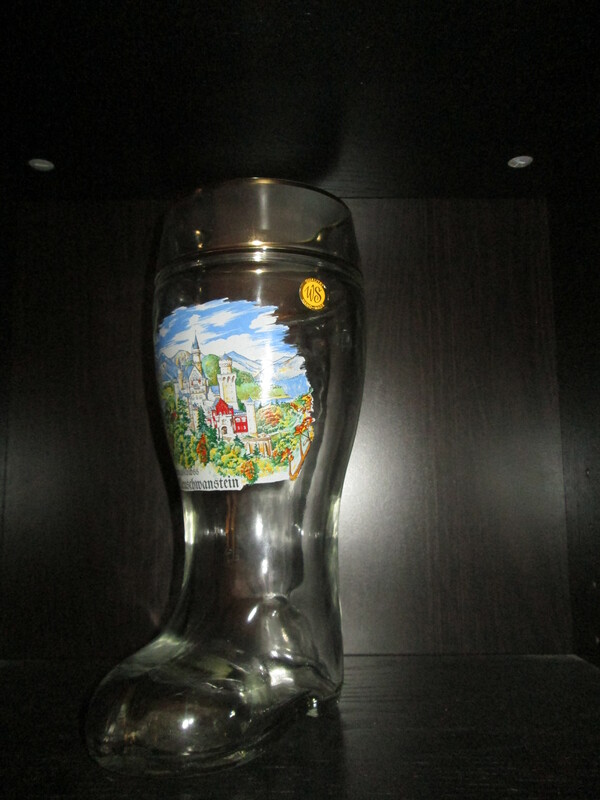 We were looking all over for “das boot” for drinking out of and found it on our last day! It is pretty fun to drink out of. 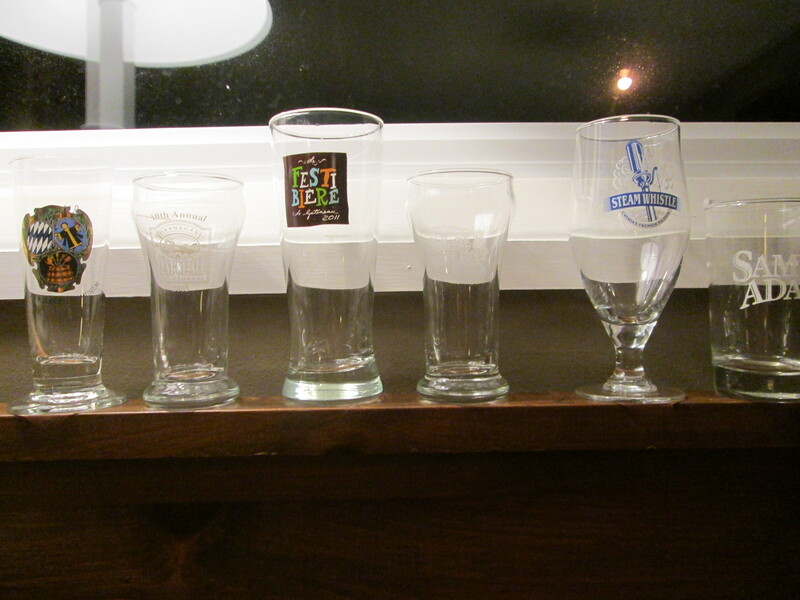 Some of the sample beer glasses from various beer festivals. Missing are any plastic glasses… I try to never drink out of a plastic glass. 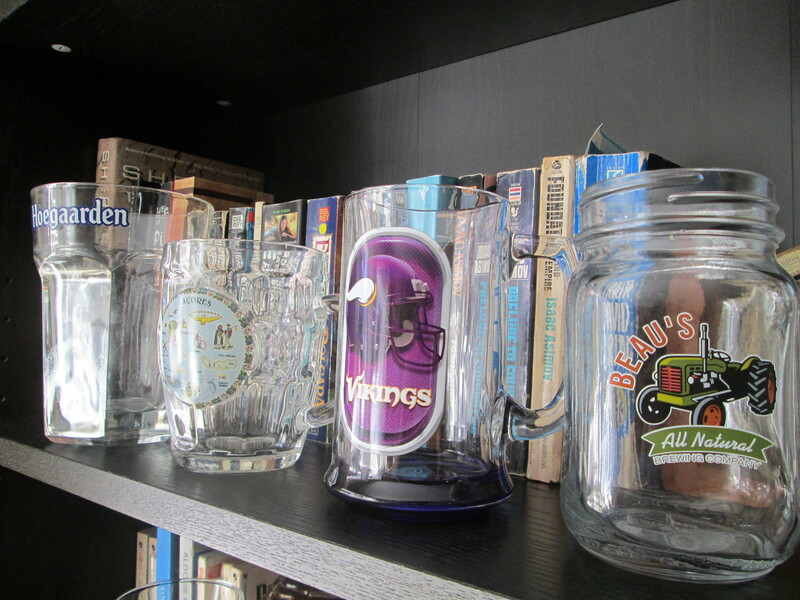 Beau’s, Vikings (fun story about the Vikings’ mug. I was traveling through the USA with my brother and didn’t have a mug to drink beer out of. So when I went to buy some beer I asked if they had any beer mugs. They only had a Vikings one and it was pretty dusty. I don’t watch much NFL football, but bought the glass and became a Vikings fan! ), Mug from the Azores and a mug from a Swedish beer and scotch fest I went too. I really like the way this writer writes… some good debates on beer. Earlier today, I put up a post about bricks-and-mortar breweries, beer commissioners and so-called “gypsy” brewers, and why what matters most, to my mind, at least, is what ends up in the glass. Which seems to me to be a good set-up for a chat about a couple of new beers from the largest brewing company in the world. The brewing company in question is, of course, Anheuser-Busch InBev, or more specifically their Canadian subsidiary Labatt, and its Maritime sub-label, Alexander Keith’s. What should you drink out of? 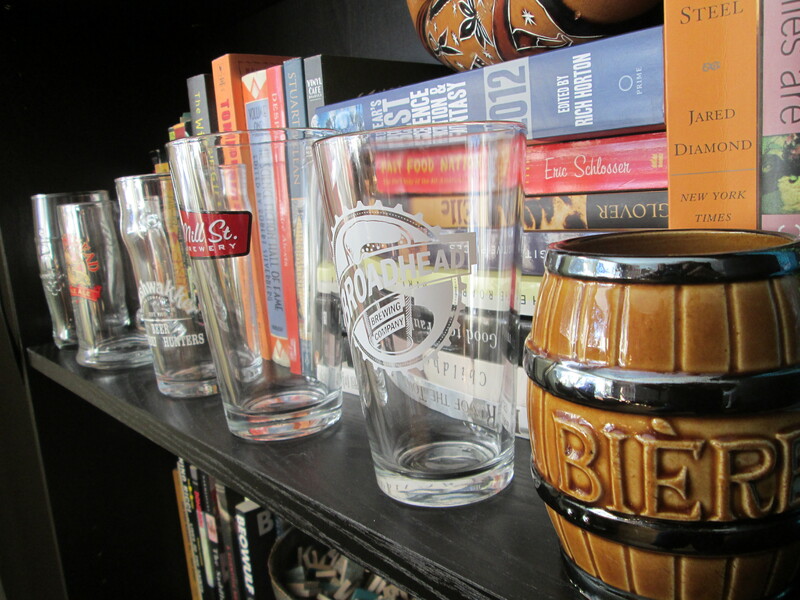 The beer glass… often over looked, but you should always drink your beer out of one. Why you ask? Well there are a number of reasons. Don’t you want to see what the beer looks like? Checking out the amber tones, or seeing how well it is carbonated. By pouring the beer into a glass you are releasing some of the carbonation out of the beer. This does add to the taste, but according to my grandfather, who lived to 86, it is important to always pour your beer into a glass… it is the carbonation that will get you! This is one of my favorite mugs to drink bière out of! I know that you can’t see through it, but it is still pretty great! I went to the local Value Village or Salvation Army and bought 5 beer mugs for the Febrewers! It was a lot of fun etching the glass for the event! It was a fun month of posting! I was able to post every day leading up to the party! I pretty much ordered one of each! 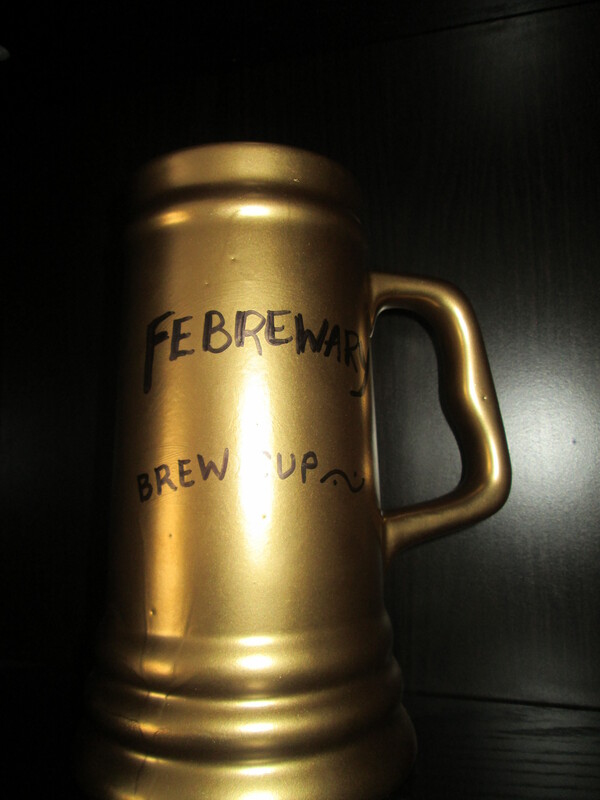 I would like to say that the febrewary brew ha ha party went well! I will be posting pictures from it later this week, but I can’t keep people waiting and I have to share that my dunkel pilsner won! (actually tied with another friend!). Lots of people, some great beer themed food and everyone had a glass! I thought that we should be competing for something more than pride! 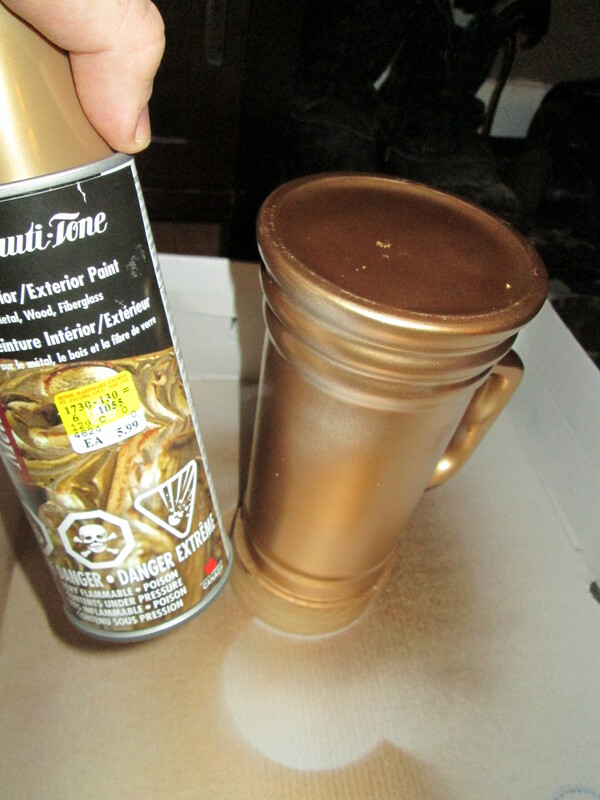 So I went shopping and found a beer stein worthy of a homebrew competition. Oddly enough it was from Canada’s Wonderland. It might be just me, but who drinks lots of beer and then goes on roller coasters? not me! 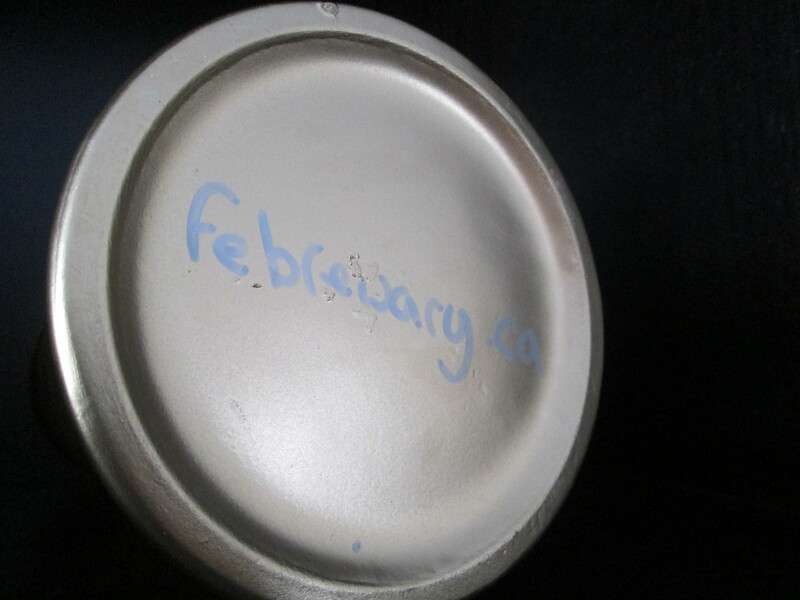 Anyway, I took the cup and painted it up to look like one of the best febrewary homebrew cups ever (it might be the only one!). First step set up a spray zone for the cup, 2nd step spray away! Won for the first time in 2013 for best Pilsner!